Tales Of A Nomad: Deep into the Jungle...!! 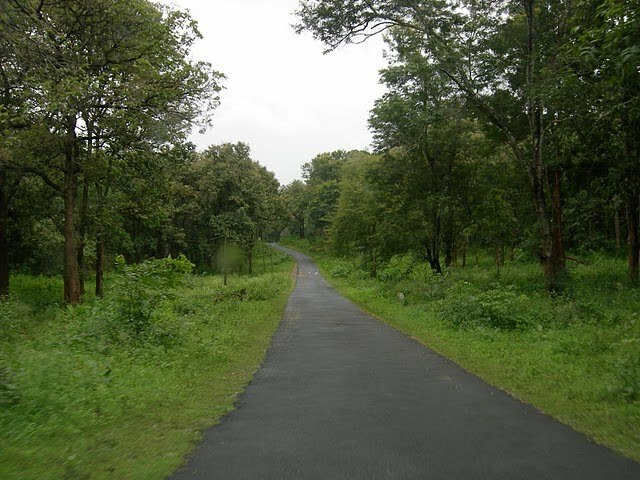 Rajiv Gandhi National Park, Nagarhole. May 2010.
ehi niran i expect more from this trip............pls put more photos dear...........like posing with lion, tiger................etc. A detailed post about my adventure coming soon..
nice pic , lonely and calm .waitng for more photos . Thank you. More pics coming soon. Thank you.. Shall definitely go through your blog. What a lovely picture, Niranjan. That green is so pleasing!! Thanks Divya. It is your neighbourhood :). Very enticing... bewitching, should I say? Yeah, it was surprisingly very green. Woods are lovely, dark and deep...Indeed!! I feel like stepping into this photo and walking down that road under those cool green trees. Would be a perfect drive deep in to that...Thanks for sharing. It absolutely was an amazing drive.